Is CVS Health Corporation (NYSE:CVS) a healthy stock for your portfolio? Hedge funds are in an optimistic mood. The number of long hedge fund bets went up by 28 lately. Our calculations also showed that CVS is among the 30 most popular stocks among hedge funds, ranking 22nd. CVS was in 77 hedge funds’ portfolios at the end of the fourth quarter of 2018. 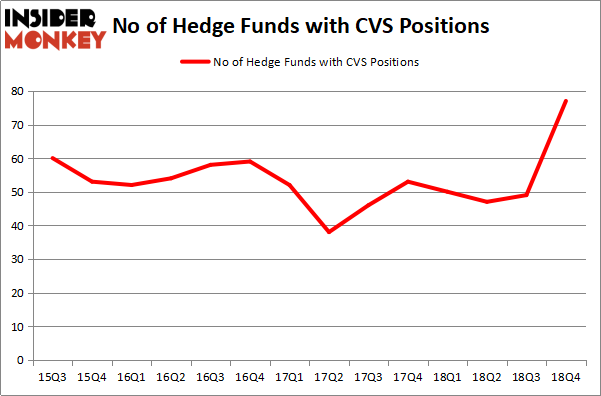 There were 49 hedge funds in our database with CVS holdings at the end of the previous quarter. We’re going to take a peek at the key hedge fund action surrounding CVS Health Corporation (NYSE:CVS). At the end of the fourth quarter, a total of 77 of the hedge funds tracked by Insider Monkey held long positions in this stock, a change of 57% from the second quarter of 2018. By comparison, 50 hedge funds held shares or bullish call options in CVS a year ago. So, let’s review which hedge funds were among the top holders of the stock and which hedge funds were making big moves. As one would reasonably expect, key hedge funds have jumped into CVS Health Corporation (NYSE:CVS) headfirst. Adage Capital Management, managed by Phill Gross and Robert Atchinson, assembled the most outsized position in CVS Health Corporation (NYSE:CVS). Adage Capital Management had $106.1 million invested in the company at the end of the quarter. Jim Simons’s Renaissance Technologies also made a $86.7 million investment in the stock during the quarter. The other funds with new positions in the stock are Farallon Capital, Samuel Isaly’s OrbiMed Advisors, and Josh Donfeld and David Rogers’s Castle Hook Partners. Let’s now review hedge fund activity in other stocks similar to CVS Health Corporation (NYSE:CVS). 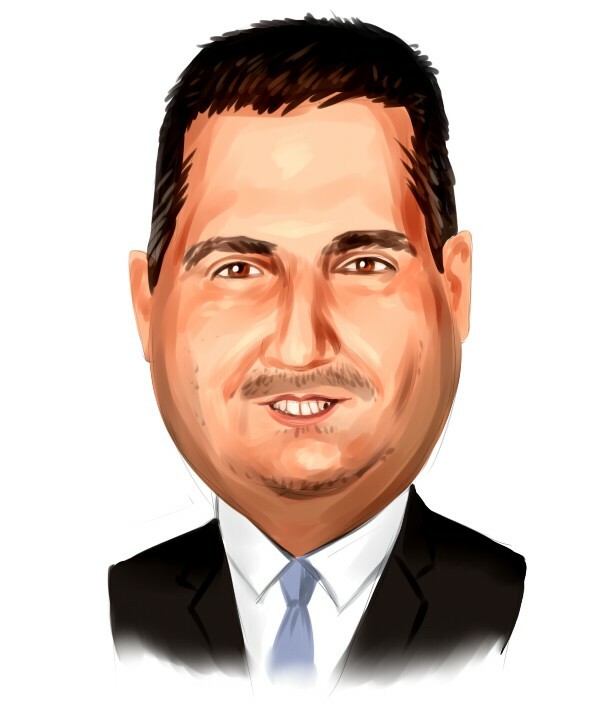 We will take a look at United Parcel Service, Inc. (NYSE:UPS), Banco Santander (Brasil) SA (NYSE:BSBR), NextEra Energy, Inc. (NYSE:NEE), and Rio Tinto Group (NYSE:RIO). This group of stocks’ market caps are similar to CVS’s market cap. As you can see these stocks had an average of 25.5 hedge funds with bullish positions and the average amount invested in these stocks was $854 million. That figure was $2831 million in CVS’s case. NextEra Energy, Inc. (NYSE:NEE) is the most popular stock in this table. On the other hand Banco Santander (Brasil) SA (NYSE:BSBR) is the least popular one with only 10 bullish hedge fund positions. Compared to these stocks CVS Health Corporation (NYSE:CVS) is more popular among hedge funds. Our calculations showed that top 15 most popular stocks among hedge funds returned 19.7% through March 15th and outperformed the S&P 500 ETF (SPY) by 6.6 percentage points. Unfortunately CVS wasn’t in this group. Hedge funds that bet on CVS were disappointed as the stock lost 14.5% and underperformed the market. If you are interested in investing in large cap stocks, you should check out the top 15 hedge fund stocks as 13 of these outperformed the market.